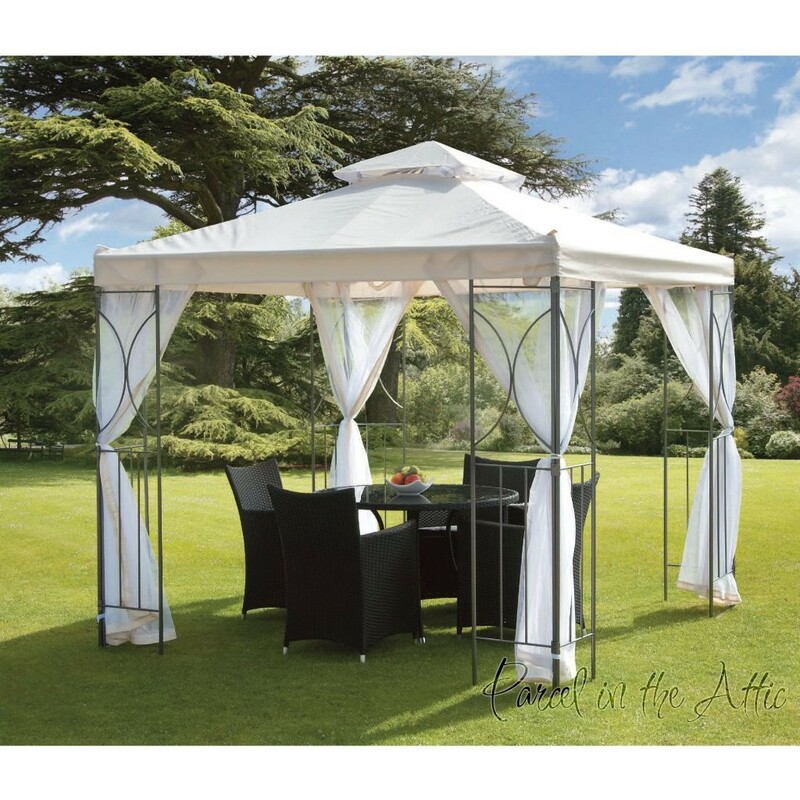 Our Cream Gazebo is stylishly designed and solidly constructed in steel with a all weather-resistant epoxy painting grey finish. 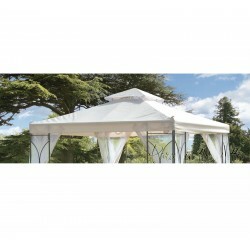 The polyester canopy has an integral vent section on top and the washable White net curtains can be fasten and drawn together to enclose the space completely for privacy and shade when desired. The corner supports include pre-drilled holes for fastening on hard surfaces with bolts or screws or for ground spikes on soft ground. Replacement canopy & side also available. Please note that canopy and curtains should be stored away during the winter months and in particularly adverse weather conditions. Unfortunately, due to the size and weight of the parcel, we are unable to despatch this gazebo to outside mainland UK, Uk isles and NI.